Next International Forum Neural Therapy that will take place in Vienna from October 4th to 6th 2019. Traditionally this is a high quality scientific symposium not only on Neural Therapy, but also addressing issues of broad interest in complementary medicine. It will certainly catch your attention. A choice of very specific topics and a wide range of workshops compose a colorful scientific program and provide hands- on experiences. We hope to open a lively panel discussion concerning neural therapeutic techniques: A lecture on “The respective benefits and disadvantages of deep and superficial injection techniques” should lead to a professional debate about efficiency and safety of Neural Therapy. Ear acupuncture - both in research and in clinical practice – is gaining increasing emphasis worldwide. In 2013, we have launched the tradition of creating a platform - by raising this profession higher level - for professional workers to on the one hand to be informed of the results of quality, evidence -based research, and on the other hand to learn of inspiring case studies, which they may integrate in their daily practice to improve people's quality of life. We cordially welcome our guests to the exhibition stalls to ensure the effectiveness of their work with new tools and information. Yoga, Qigong, Tai-chi, meditation, etc.. Welcome to the 4th Asian Conference for Medical Laser Applications and Regenerative Medicine presented by the International Society for Medial Laser Applications (ISLA). This conference aims at bringing together physicians of various specialties sharing a common interest in advancing Laser Therapy for the patients‘ benefit. This meeting is an excellent chance to get into contact with the leading experts from both fields and to meet old and hopefully new collaborators and friends. The Annual World Congress of High-Tech Acupuncture and Integrative Medicine (HTA&IM), initiated from 2014, had been successfully organized in Hangzhou and twice in Nanjing, and attracted more than 700 participants from 50 countries. HTA&IM congresses contribute to offering professionals in the field of high-tech acupuncture a multidisciplinary informative cooperative platform, and it has been the most definite and grand High-Tech Acupuncture event in Asia. The HTA&IM2017, with the theme of “Exploring Different Kinds of Modern Acupuncture and Integrative Medicine” will be held during September 25-27, 2017 in Xi’an, China. 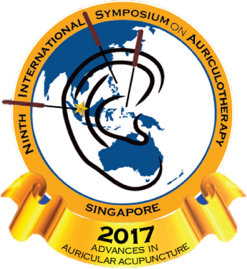 Welcome to the 9th International Auriculotherapy Symposium to be held August 10-12, 2017 in Singapore. At the 8th Symposium at John Hopkins University, Montgomery Campus, Maryland in May 2014, Singapore was chosen as the next symposium destination as it is a truly modern green city and gateway to South East Asia and the Asia Pacific nations. The symposium will suit both the novice and advanced clinician with the length and breadth of knowledge to be presented. We invite you to contribute to the evidence base for auriculotherapy in 2017. There will be awards for the best research project and best poster presentation. In 2017, lifetime achievement awards will also be presented. Sponsors are very welcome to support one/several of the speakers, contribute towards the awards and the gala dinner. For more details, please visit: http://www.auriculotherapysymposium.com/. Welcome to the XXIst International Congress "Phytopharm 2017" in conjunction with 10th Anniversary of the TCM Research Center Graz to be held on July 2-5, 2017, Graz, Austria. More details are provided at: http://www.doclinika.ru/phyto2017.html. To celebrate the 80th Anniversary of China Pharmaceutical University, the 3rd High-Tech Acupuncture and Integrative Medicine Congress (HTA&IM-2016) will be held during November 16-19, 2016, at Nanjing, China. With 7 Supporting Concurrent Conferences in Medicinal Chemistry, Drug Delivery, Cancer Immunotherapy, Regenerative Medicine and Stem Cells, Catalytic Asymmetric Synthesis, Microbes, and Modern Chinese Medicine, as well as Variety Social Events, the conferences will attract 4000+ Participants from 80+ Countries with 500+ Poster and Exhibition Presentations to join in the grand festival! HTA&IM-2016 as one Concurrent Conference of the Celebration Event will organize 12+ Parallel Sessions as well as Keynote Forum, and will approach 100+ Oral Presentations and 300+ Participants. You can enjoy other 8 concurrent conferences Free with Only One Registration Pass of HTA&IM!